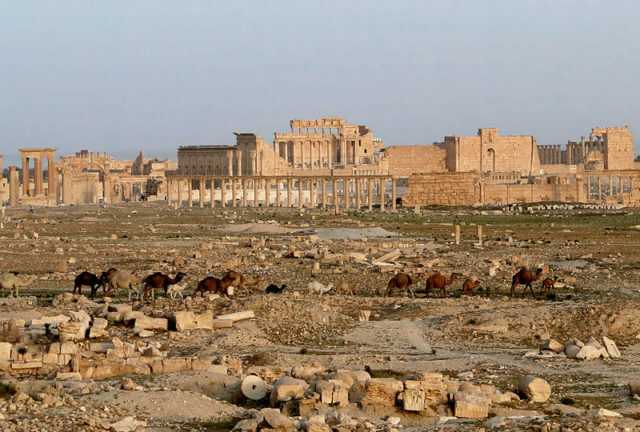 Amazing ancient cities around the world remind us of the history of civilizations. Some of these are nothing but ruins, which remind us how fragile but also how robust we are. Here’s a list of places around the world that are so steeped in history that, when one steps foot on them, they take the breath away. 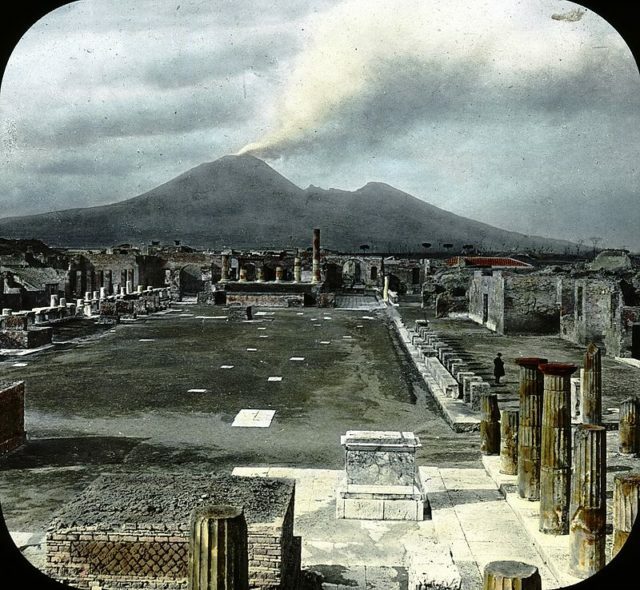 Pompeii was preserved as a still life of ancient Roman living after Mount Vesuvius erupted in 79 AD, pouring volcanic ash over the city. Over two thousand people perished in this city as the ash clouds swept across it. It was discovered in 1748; under the thick layer of dust and ash. The city was almost completely preserved, including the remains of people who lay where they fell. The buildings and artifacts were still intact. This city has taught researchers and historians a lot about everyday life in ancient times. 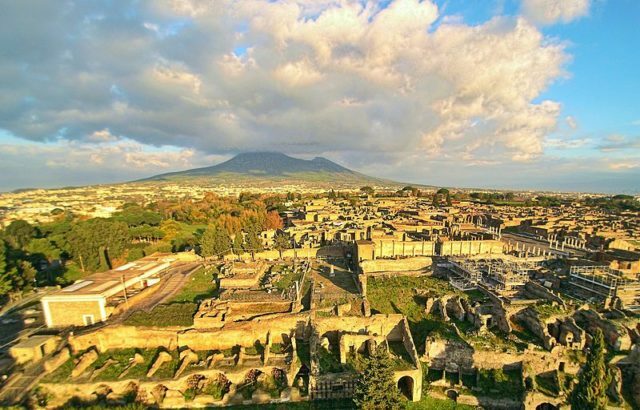 The excavation of Pompeii has lasted for nearly three centuries, and it is described as an eerie city. Rich with history from its 1,000-year existence, this site is considered to be one of the most sacred Mayan sites in the world. The fusion of Mayan and Toltec cultures in the buildings and the remains, make it unique. 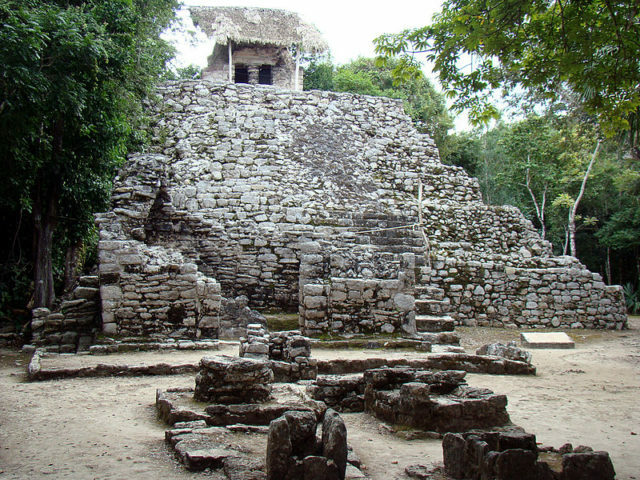 Many old buildings have remained, such as the Warriors Temple and the Caracol. The city itself was established as early as 415 AD, but the exact date is unknown due to a variety of information from local sources. Presumably. The city started to decline in the 13th century. The buildings and sculptures are considered masterpieces of Mesoamerican artistry. 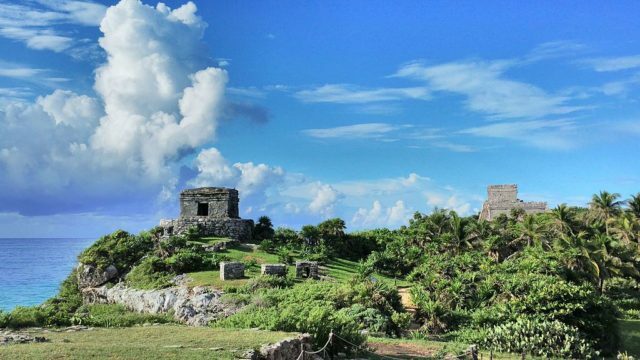 Situated on 12-meter-high cliffs, the ruins of Tulum are from a pre-Columbian walled city built by the Mayans. During the 13th and 15th century, the city reached its heyday and managed to survive for 70 years after the Spanish started occupying Mexico. The diseases brought by the Spanish caused high fatalities, and eventually, the population dropped so much that the city was left abandoned. It’s one of the better-preserved Mayan sites. 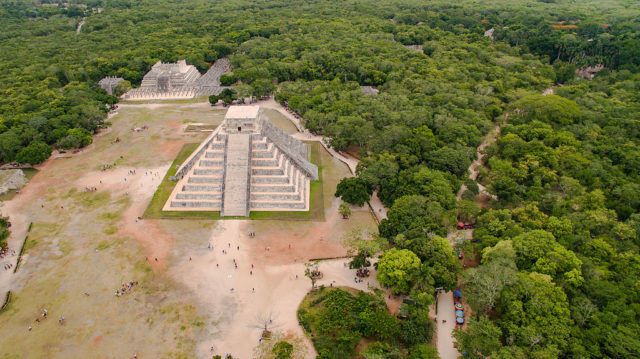 The site has three famous buildings: the Temple of the Frescoes, the Temple of the Descending God, and El Castillo. There are niche figurines and stucco figures to see, as well as an excellent view over the Caribbean Sea. 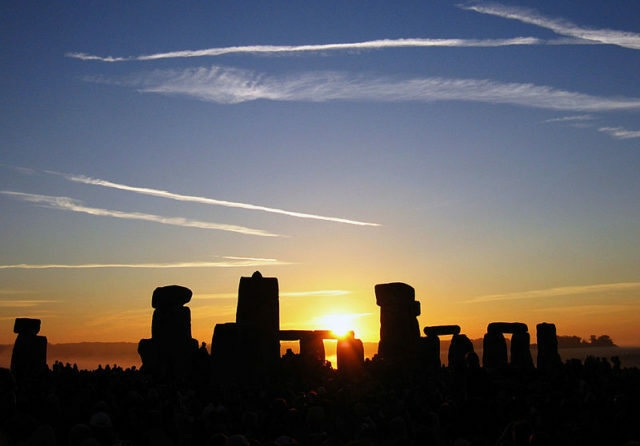 Stonehenge consists of a circle of stone menhirs of astronomical significance from the Neolithic and Bronze Age in Great Britain. They are found in southern Britain and are part of ceremonial and funerary monuments such as burial mounds. The size of the megaliths makes this site the most impressive of all sites in Great Britain, considering stone boulders. The stones themselves are made from Wiltshire Sarsen sandstone as well as Pembroke Bluestone, and they have been precisely constructed. They are an excellent example of prehistoric technology. 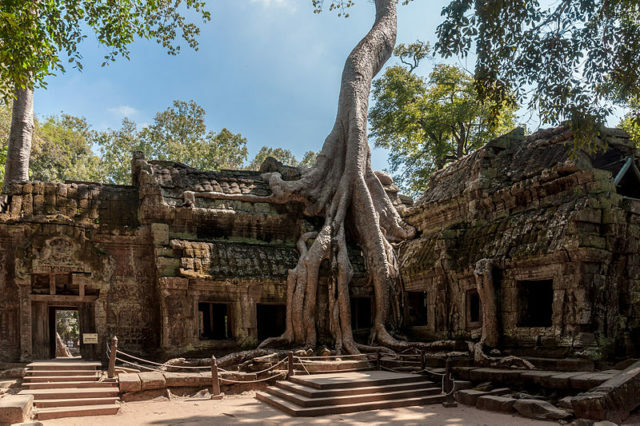 Ta Prohm is located in the Angkor Archaeological Park in Cambodia, Southeast Asia. It is one of the temples that represents Khmer architecture. 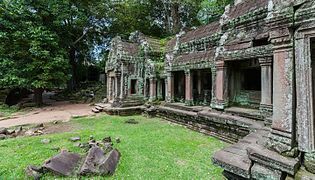 The Khmer Empire lasted from the 9th to the 14th century and spread across most of Southeast Asia. All that remains of it are the stone and brick structures left behind. The Park’s size is over 400 square kilometers, containing many temples and canals. The site is the home to an elaborate hydraulic system that shows the level of technology practiced by this ancient city. The archaeological features are rich and artistic. 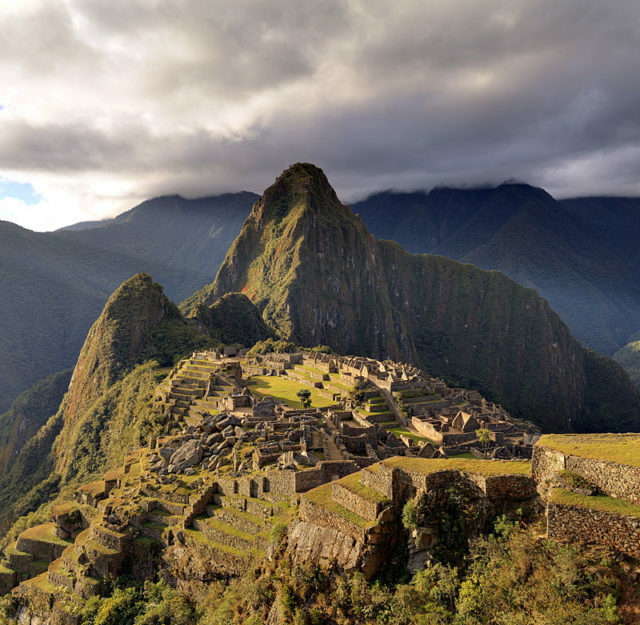 The mixed world heritage property that covers 32,000 hectares of valleys, mountain peaks, and slopes, Machu Picchu has been shared with the world since 1911. 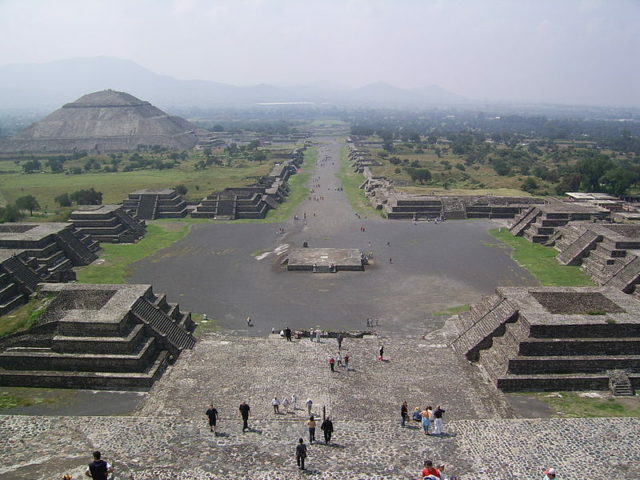 This complex of religious, astronomical, agricultural, and ceremonial centers is made of 200 structures. 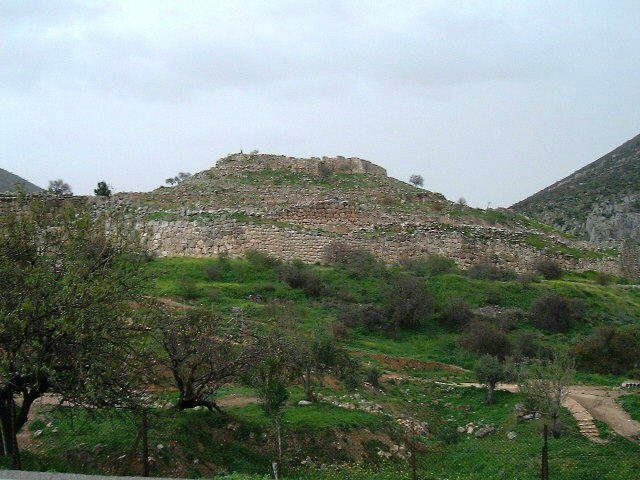 The structures are set on a steep ridge, crisscrossed by stone terraces. The city is separated into an upper and lower part, with a very large square between the two areas. The lower area was clearly for farming, and the upper areas would have been residential. The buildings are massive and yet have an unrefined look, so they appear to belong in the natural environment. The site has clearly been a hub of human activity for a long time, with irrigation canals and roads that still define parts of the area, beside the encroachment of the natural environment. The site is part of Peru’s national protected areas, and it’s preserved for its cultural and natural heritage, and also as the home to rare plants. 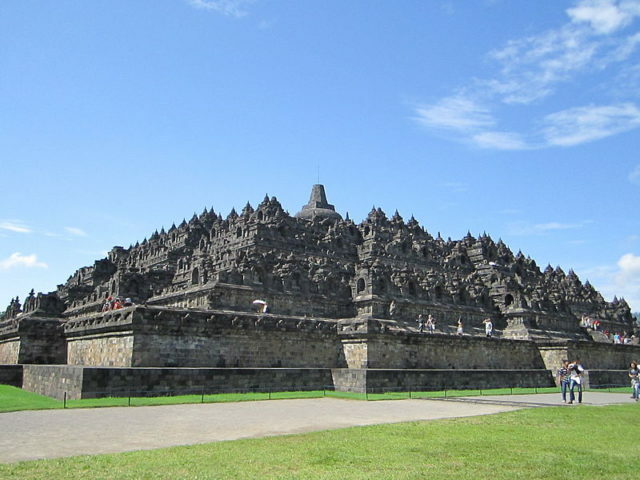 Located in central Java, the Buddhist temple dates from the 8th century. It is a three-tiered building, starting with a pyramidal base of five square terraces. The next level is a cone with three circular platforms, and the final level is a stupa. A stupa is a mound-like or hemispherical structure that holds relics; it is a critical part of Buddhist architecture. 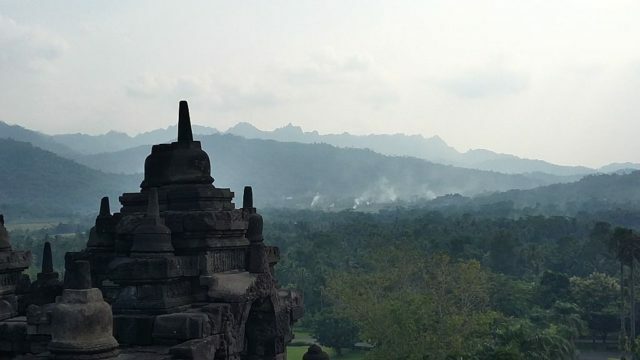 The Borobudur temple has walls and balustrades that have reliefs across them, and on the circular platforms, there are openwork stupas with a figure of the Buddha on each. It was restored back in 1970, and its glory still stands today. Initially a Mauritanian capital, it soon became an important outpost of the Roman Empire. It is an archaeological site that contains a mixture of ruins that encompass Roman and other indigenous cultures. 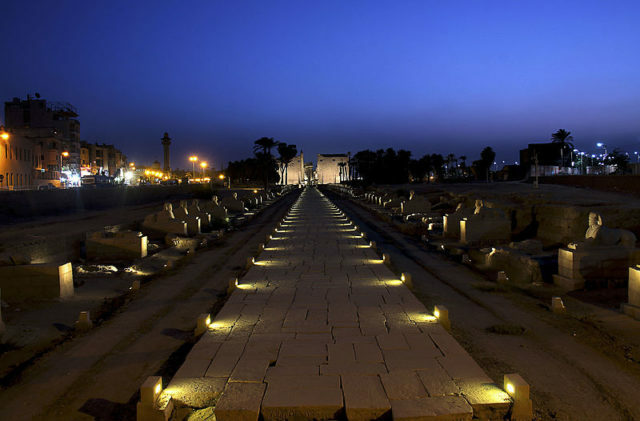 It is considered as one of the richest sites; the fact that it was uninhabited for nearly a thousand years has helped with the preservation of the ruins. The site has proven to be rich in mosaics and statues. Set on the banks of the Nile River, the Luxor Temple is an Egyptian temple complex from approximately 1400 BCE. In Luxor, there are many temples on both the east and the west bank. 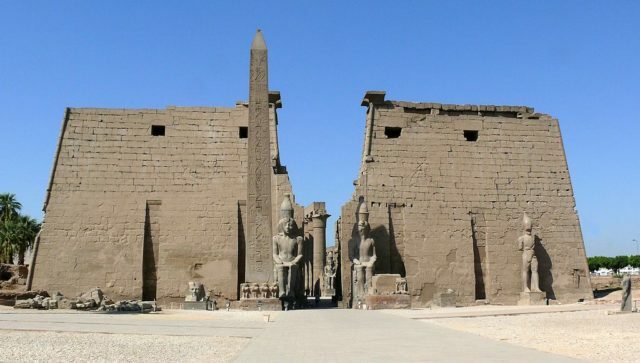 The city today is known as Luxor, but in ancient times it was known as Thebes. 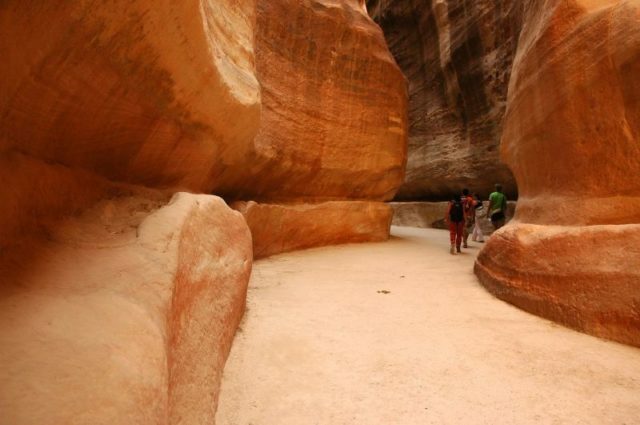 It is built in Nubian sandstone, which was a common stone used in the construction of monuments in Upper Egypt. The temple was excavated in 1884, and over time it has been rescued from centuries of accumulated rubble and rubbish. The structure has many elaborate, symbolic statues. It is built on the cremation site of King Borommarachathirat II’s two older brothers. They dueled to the death to claim the throne after their father’s rule. 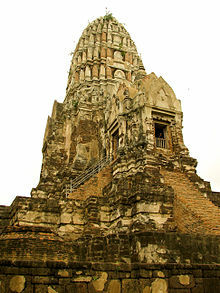 It is a Buddhist temple that sits in the Ayutthaya National Park in Thailand. The temple’s main prang has undergone restoration, and it’s considered the finest in the area. Steep stairs reach the crypt in the prang and it’s the home of frescoes that have faded over time. 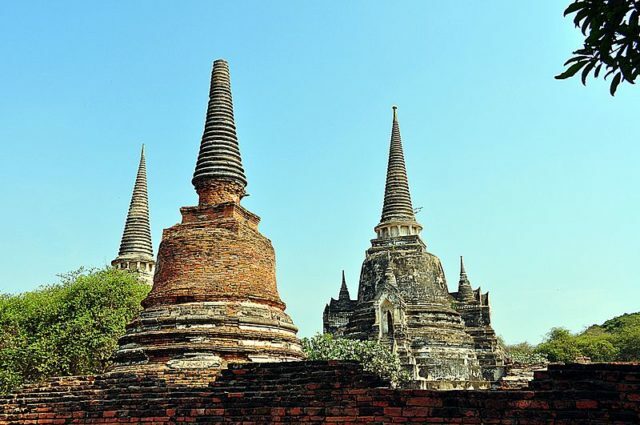 Some are rare examples from the Ayutthaya early period. The temple’s crypt has been robbed, and the thieves removed many of the golden artifacts and Buddha statues. Unfortunately, even when the thieves were caught, many of the treasures were never recovered. 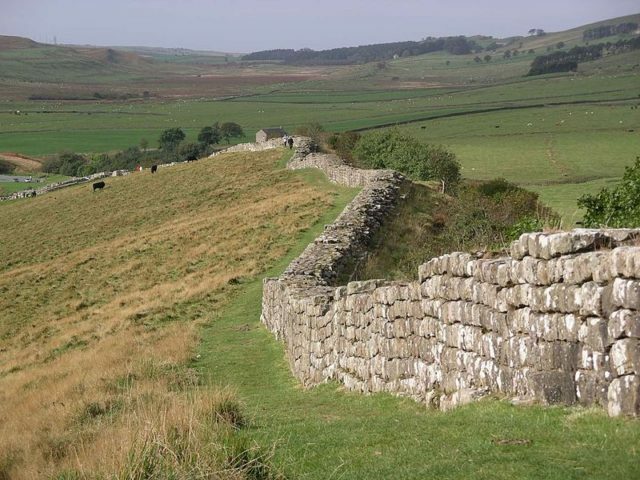 Considered a transnational property in the “frontiers of the Roman empire,” this wall is the part of the “Roman Limes” – the border of the Roman Empire. 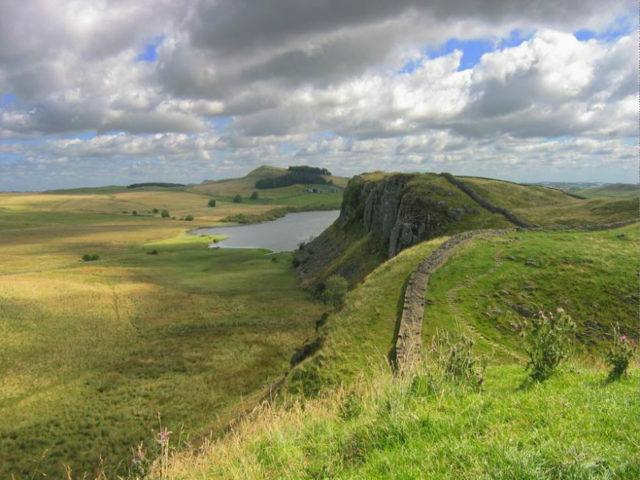 The ‘limes’ that are found in Great Britain consist of Hadrian’s Wall, which was built by orders from Emperor Hadrian in 122 AD. It stands as an example of an organization in an early military zone and demonstrates the defensive techniques used by the Romans at the time. It is a Phoenician city once known as Heliopolis in the Hellenistic era. It used to be a pilgrimage site as its sanctuary of Jupiter attracted many visitors. It is a site that shows Imperial Roman architecture at its best. The structures that grace this site were built for over two centuries and contained many temples, including those for Jupiter, Mercury, and Venus. 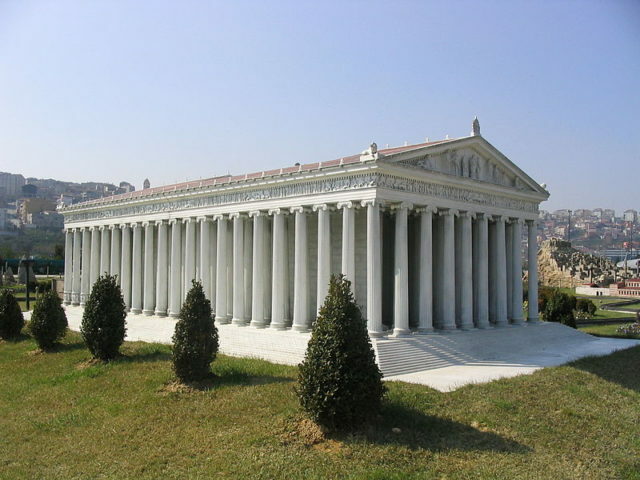 The temple of Jupiter has 20-meter-high columns and large stones as part of its terrace. 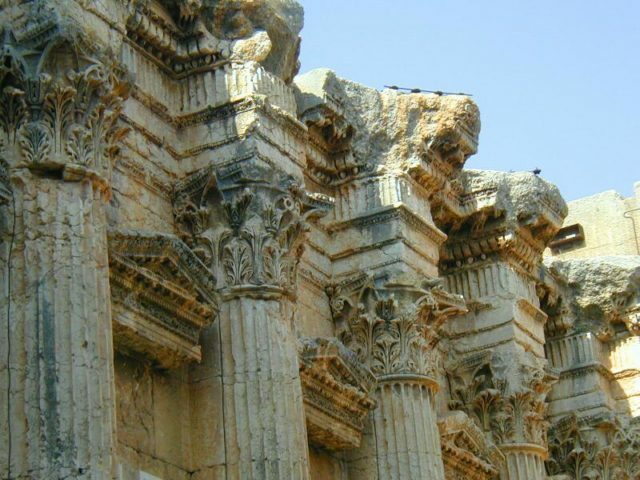 The temple nearby is dedicated to Bacchus and is richly decorated with Bacchic figures. 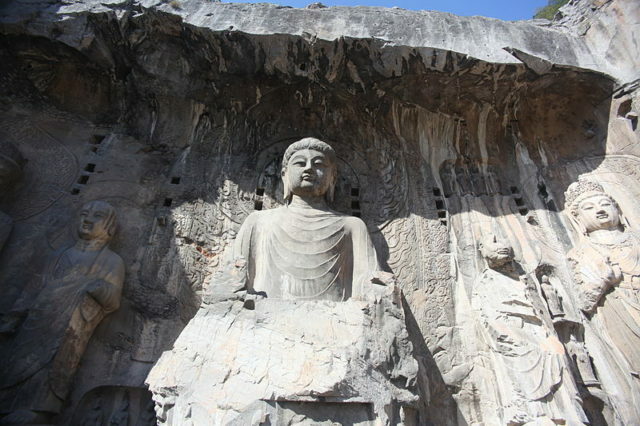 The Longmen Grottoes are found on both sides of the Yi River in the Henan province. They consist of over 2,300 caves and niches that have been carved into limestone cliffs, stretching to over a kilometer. There are nearly 110,000 stone statues of Buddha, 60 stupas, and a staggering 2,800 inscriptions carved into steles. 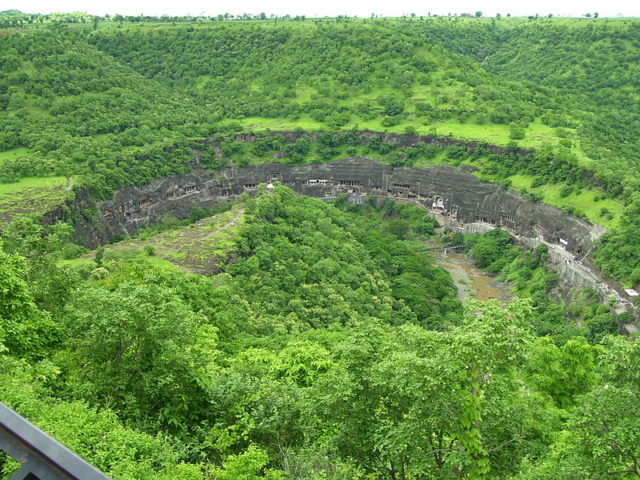 It is thought that the first caves were carved at the end of the 5th century. Yaofangdong Cave has inscriptions that show treatments for diseases and illnesses around at the time. 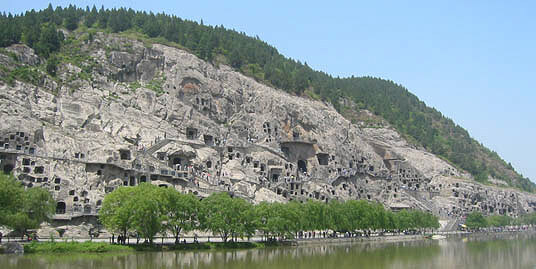 Different caves have different sculptures from the various dynasties; some of the styles were copied and influenced the sculptural arts in other Asian countries. Bagan is an ancient city in Myanmar. 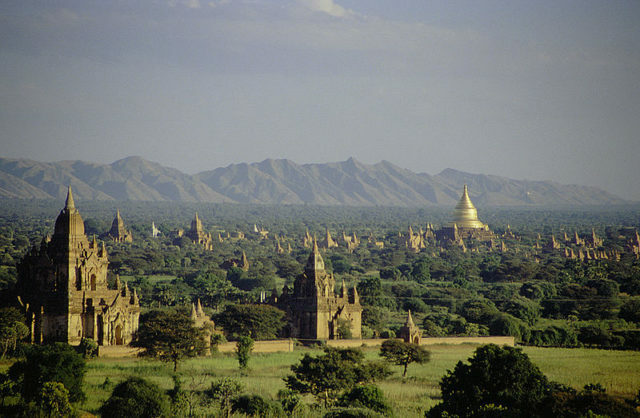 The rulers of the Kingdom of Bagan made over 10,000 religious monuments that include stupa, temples, and monasteries. It was considered a cosmopolitan center for religious studies. The empire eventually collapsed due to Mongol invasions in the 13th century. The city has suffered over the years due to its position in an earthquake hot zone. It is a popular tourist destination, but the earthquake in 2016 destroyed many temples. The restoration of the damaged temples is currently in progress. 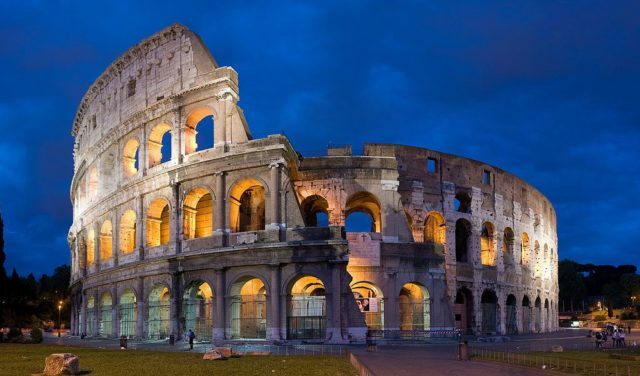 The Colosseum is part of the historic center of Rome. The city was founded on the banks of the Tiber River in 753 BC, and it became the center of the Roman Empire. It was built over a Christian city that reused the old spaces, buildings, and materials. 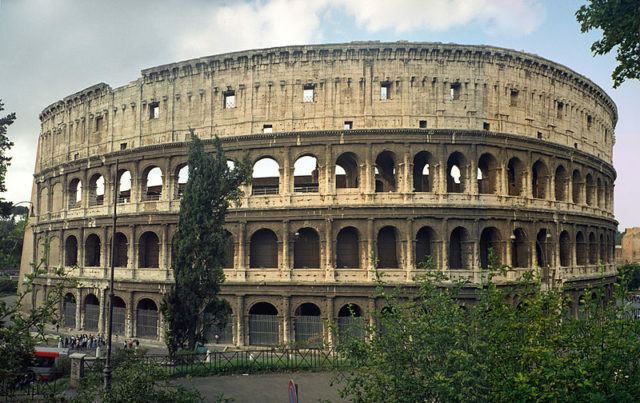 Monuments such as the Colosseum have survived the changes that have occurred over time. It is now considered a building of incomparable beauty and artistic value, and it testifies Romans’ beginnings. 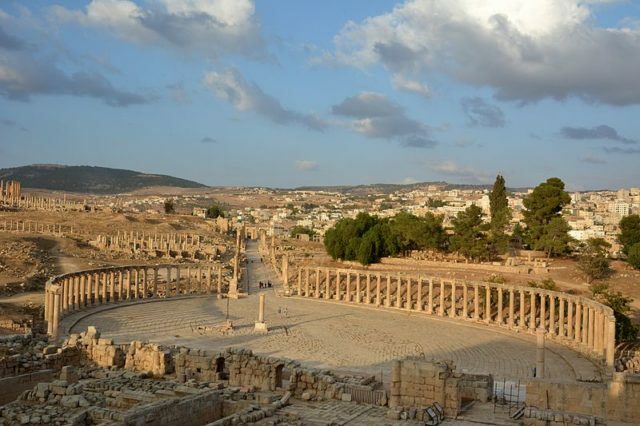 The ancient city of Jerash was situated in the north of Jordan. During the time of the Crusades, its name was changed to Shakib, but by the 16th century, the city regained its former name. Earthquakes partially destroyed it in 749; after that, wars further destroyed the city. It became buried underground until 1806 when a German named Ulrich Jasper Seetzen discovered it. 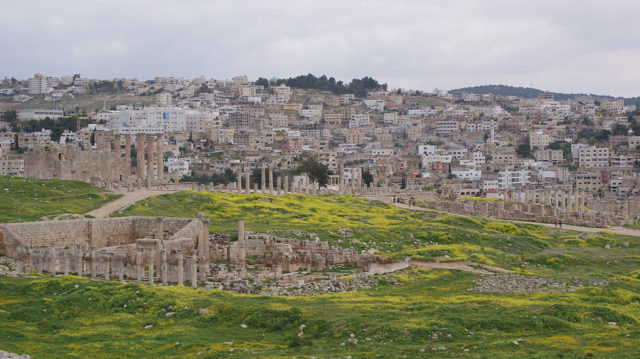 Modern Jerash has become a popular tourist destination; the ruins of the old city have been carefully preserved as the modern city sprawls along. Moai are the monolithic figures carved by the Rapa Nui people on Easter Island. Most moai have very large heads and are considered the living faces of the ancestors. The fact that these were produced and able to be transported is quite a remarkable feat. The figures weigh up to 80 plus tons, and hundreds of them are set around the island on stone platforms. They are whole body statues and not just heads, as they are sometimes thought to be. At Rano Raraku complete and incomplete moai can be still seen. The creator of these statues remains unknown, and it is still quite doubtful whether or not there was a specialized group in the community. This city used to be the capital of a pre-Hispanic empire that was at its height in 500-900 AD and was spread over the southern Andes. The culture of these people was different from the rest of the pre-Hispanic people in the Americas. 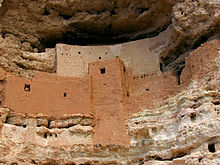 Most of the city was built from adobe and has been built by the modern city. Some of the stone buildings have survived in specially protected areas. The city was known for its carved ashlar stones and its underground drainage system that redirected rainwater effectively and accurately. 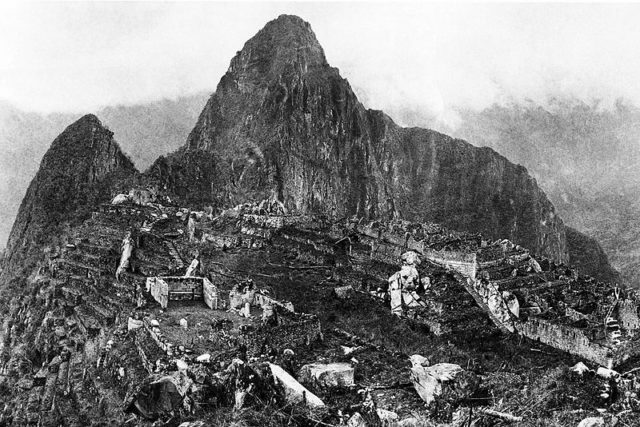 The most notable monument is the Pyramid of Akapana– it is thought to have risen to 18 meters high, but only the lowest of seven platforms still exist. 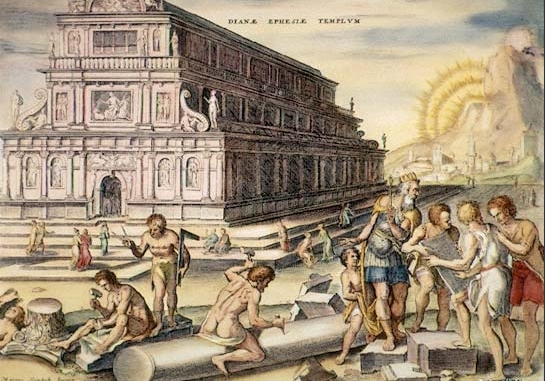 The people of this city were able to carve and polish different types of stone and use them as materials in their buildings. The city had artificial terraces for sustainable farming to help feed the populace. 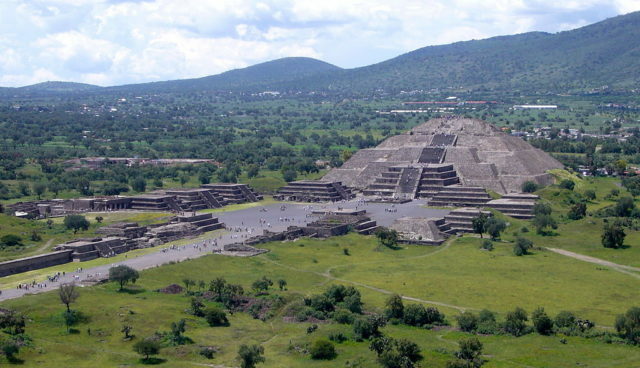 The name of Teotihuacan translates as “the place where the gods were created”. The city can be found 50 kilometers northeast of Mexico City. Its temples are huge, especially the Temples of the Sun and Moon that stand out in the city. Many buildings on this historic site are unique because of their wall paintings. View of the Pyramid of the Moon from the Pyramid of the Sun. At its peak, the city spreads out to over 36 square kilometers. Since archaeological work has started on it, palaces and residential buildings have been found. In the 7th century, the city was destroyed by fire and never rebuilt. It is considered a model of large-scale planning and urbanization, which has had a significant influence on later cultures. On the central Anatolia plateau, in the volcanic landscape, lies the remains of the Cappadocian subterranean dwellings of the Christian sanctuaries. The quality of the décor in this subterranean cave’s complex makes it a top example of the Byzantine art period from the post-iconoclastic period. Over 800 rupestral churches were dug in Cappadocia, and they are decorated with brightly-colored paintings. The Cappadocian monasticism was well established from 725-842, and these sanctuaries are strictly limited in the number of symbols used. 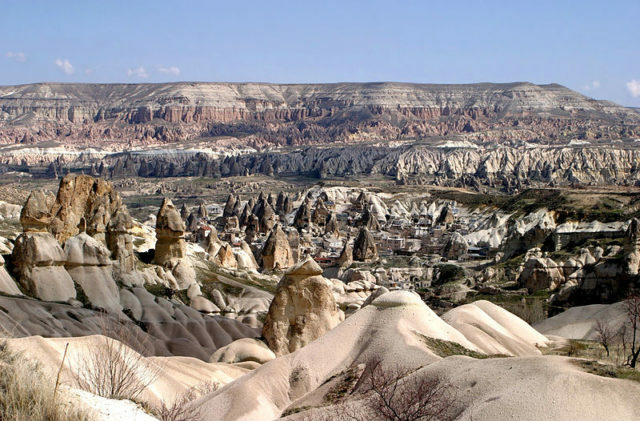 The sites of Cappadocia lay between the cities of Urgup, Nevsehir, and Avanos and are part of the Goreme National Park. 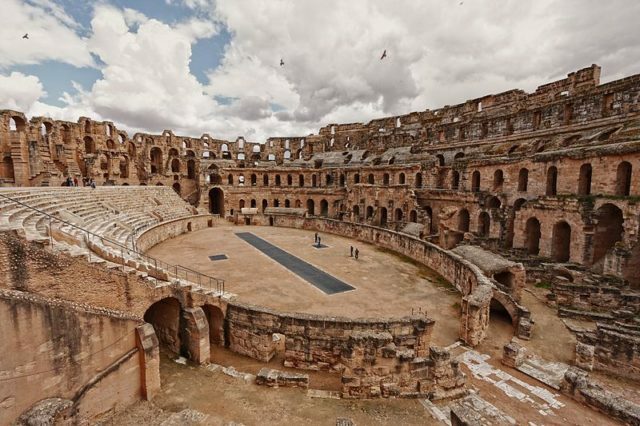 It is the largest colosseum in North Africa, and it could have held 35,000 people. Built in the 3rd century, this monument is a firm example of the grandeur of Imperial Rome. It was built of huge stone blocks – it has no foundations, and it’s a free standing building. The façade has three levels of Corinthian style arcades, and inside the ruins are the preserved infrastructures for the tiered seating. It’s a rare monument as it has been built on flat ground rather than against a hillside. The arena and underground passages are virtually intact. The building was created solely for spectator sports. 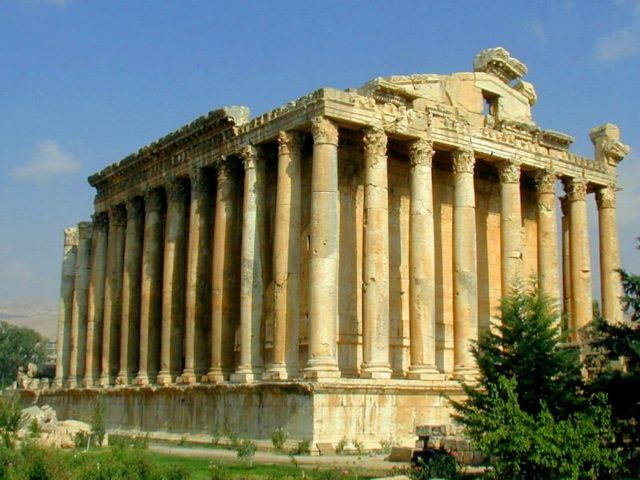 It was once the home of the Temple of Artemis, one of the Seven Wonders of the World, but very little remains of it today. The city has been a place of successive settlements by Hellenistic and Roman settlers. Grand monuments have been excavated from the site, like the Great Theater and the Library of Celsus. It stands on the former estuary of the River Kaystros, and as the city grew, it followed the coastline. 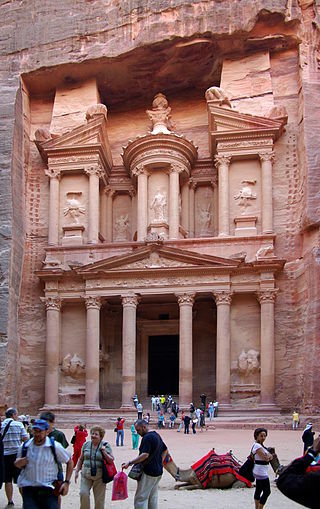 This stunning city has been half-built and half-carved in a light pink stone in the rock face. This caravan-city has been occupied since prehistoric times, and it’s one of the most famous archaeological sites in the world. Here, Hellenistic architecture blends with Eastern traditions as this city stands between the Red Sea and the Dead Sea, on the important crossroad between Syria-Phoenicia, Arabia, and Egypt. You can clearly see from the monuments which kinds of cultures made this exceptional city their home. 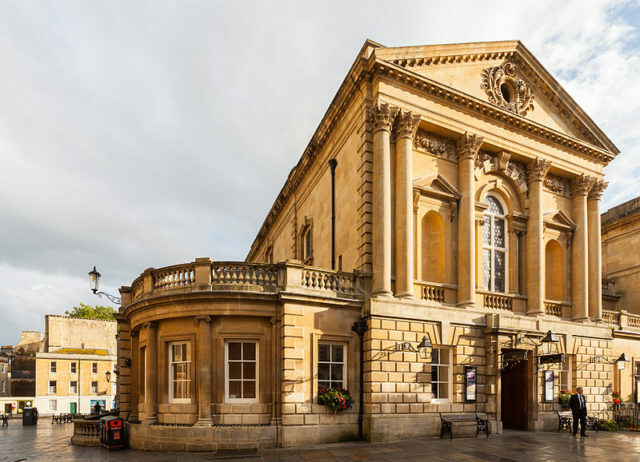 Initially, a thermal spa created by the Romans in Bath, the Great Bath is 1.6 meters deep and is a huge pool that is lined with lead sheets. Once it stood in a barrel-vaulted hall, but now it sits open to the sky. It was a perfect place for bathing, with steps leading into the water and niches around the edge that may have held benches and tables for the bathers. No swimming is allowed in the pools today. The complex contains the old changing rooms and saunas, and the cold circular plunge pool still exists. Projection shows are offered at regular intervals during the day so visitors can appreciate how the inhabitants of the city used the baths. 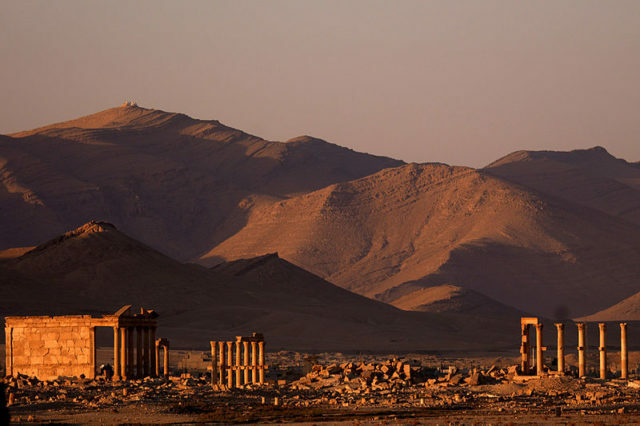 In the Syrian Desert, northeast of the town of Damascus are the ruins of a once great city called Palmyra. The city combined Greco-Roman with Persian styles, and local traditions create a city of a unique cultural influence in the ancient world. 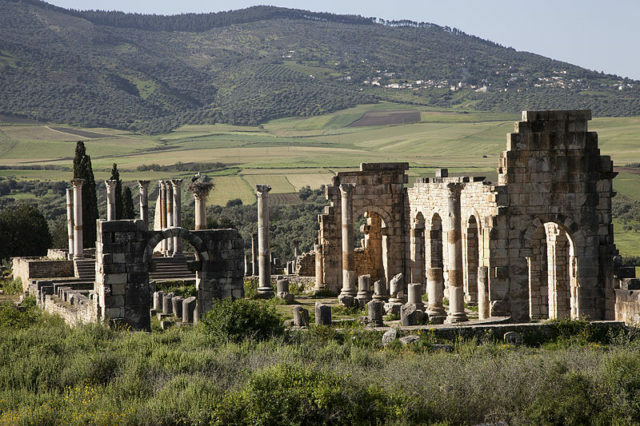 It started out as a caravan oasis and then came under Roman rule in the first century. The city grew rapidly, as it was on the trade route linking China, India, Persia, and the Roman Empire. The architectural ornamentation that remains shows the marriage of the different cultures that were merging in this famous city. As with many cities from this era, it contained many temples. Still visible outside the walls of the city are the ancient Roman aqueducts. 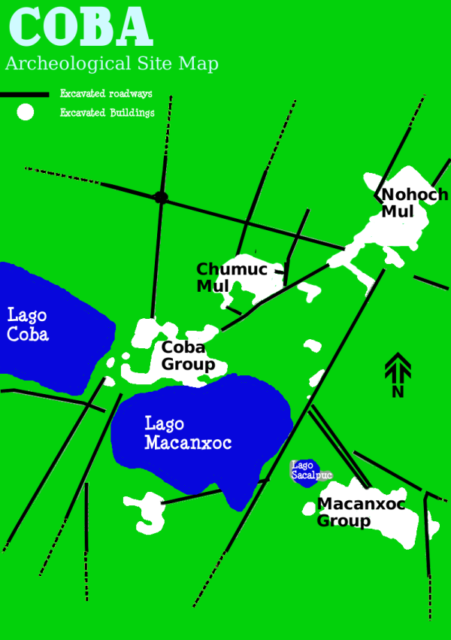 Coba is an ancient Mayan city that has the largest nexus of stone causeways of all the Mayan cities found. The city has sculpted and carved stelae that show the ceremonial life of the Late Classic Period, which was 600-900 AD. 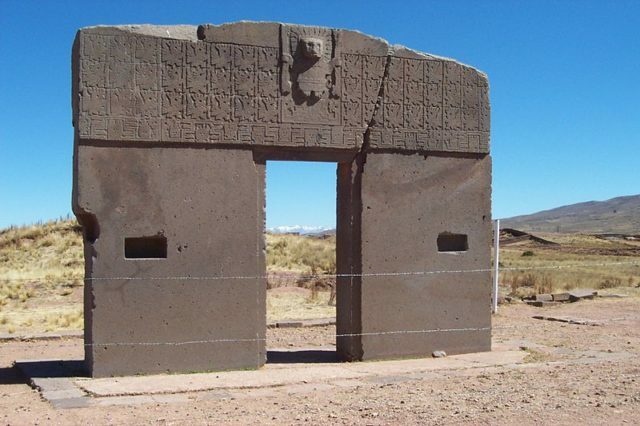 The stelae also show all the important events that happened in the city. A stelae is a tall stone shaft that is sculpted with figures and hieroglyphic text. The city is thought to have once housed over 50,000 people, and the buildings extend over 80 square kilometers. It sits around two lagoons, and it has multiple residential areas with clusters of 15 houses. 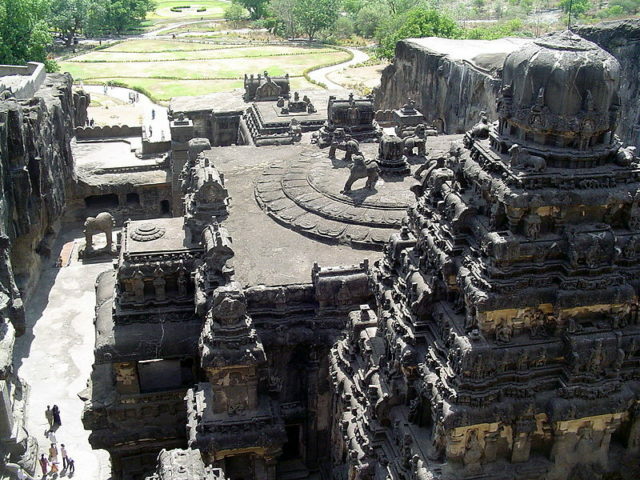 Dug in a high basalt cliff are 34 temples and monasteries that make up the Ellora Caves in India. 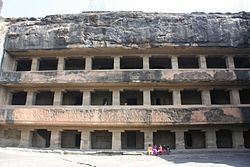 This ancient site, built in 600-1000 AD, is a good example of ancient India. It has sanctuaries devoted to Hinduism, Buddhism, and Jainism that demonstrate the tolerance that was common in ancient India. The monuments range uninterrupted for approximately two kilometers. 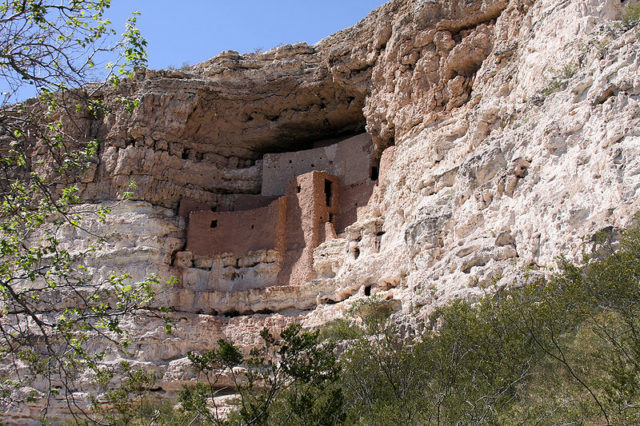 The buildings set into the cliffs near Camp Verde were built by the Sinagua people, a pre-Columbian culture. 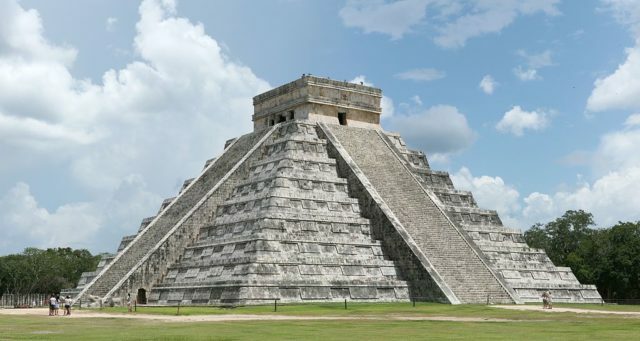 Even though the ruins were named after the Aztec emperor Montezuma, they were built well before he was even born and were abandoned 40 years before that event. Experts consider the dwelling more of a “prehistoric high rise” than a castle. The stunning building took the inhabitants over three centuries to complete. It is not entirely clear why it was abandoned, but it is thought that drought, war-like clashes with other people, and a lack of resources could have contributed. 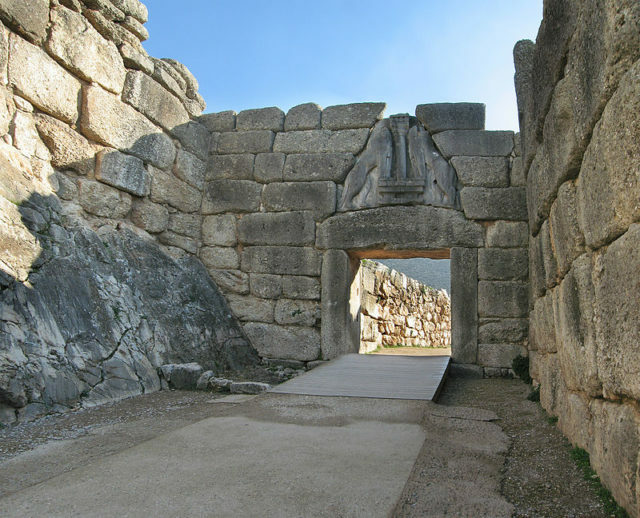 An archaeological site of one of the greatest cities of the Mycenaean period was a dominating feature in the eastern Mediterranean world of the 15th to 12th centuries BC. This is one of the cities that played a role in the development of what we see as classical Greek culture. The city was known to be the richest palatial center in the Late Bronze age. Its history has inspired writers and artists over many centuries to create works detailing its life and the life of its rulers. Stages in the architecture are still visible on the property with its defensive walls and the Lions Gate, Matador network reported. The first of the caves monuments in this historical site dates back to the first century BC. 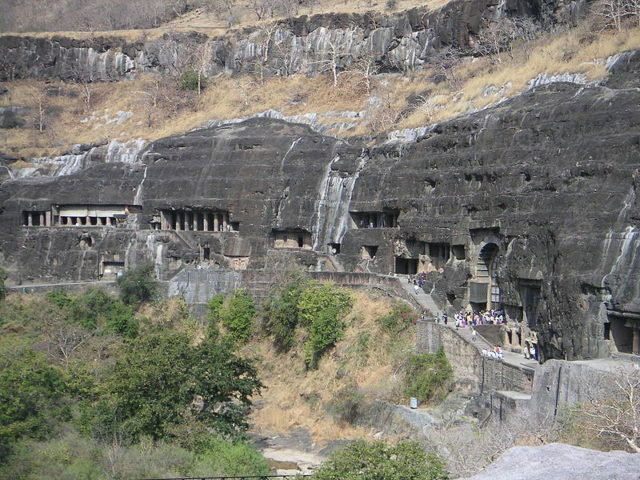 Later in the Gupta period, more caves were added in style common to that period. The artwork at this site is considered to be masterpieces of the Buddhist style of art. The paintings are very expressive in pose, gesture, and form and look north over a rocky cliff face.